FNN Tech Prep Bureau: Today is June 17th, 2014. Today we woke up in Jackson, Mississippi. We all headed downstairs for breakfast and were introduced to Ms. Kenya Collins, Myrlie Evers’s assistant. Today is the day of my interview and I'm very excited. We all head to the bus and go to the Smith Robertson Museum and Cultural Center. This place was once a school for African Americans post slavery, and it was also attended by author Richard Wright. 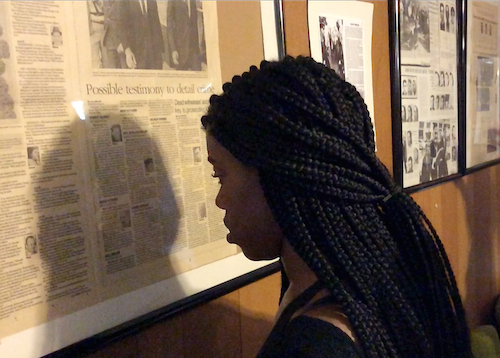 We explore the museum seeing old artifacts and exhibits about African American history over time. Our last exhibit is a dedication to Civil Rights activist, Medgar Evers, and I'm happy to read and all of the things that were on display. We then head to Medgar Evers home and listen to the story of his assassination. We're also able to view the blood stains that still remain on the ground, it was very saddening. We go to lunch at an all-you-can-eat buffet and I talk, very briefly, to Ms. Collins about Mrs. Evers. We then head to Mrs. Evers’s office and wait for her to arrive. We're there for some time and Kenya is telling us that she's trying frantically to get in contact with the Evers, but she's getting no response. We leave the Evers office after two hours, and I'm disappointed because I was looking forward to meeting Mrs. Evers. 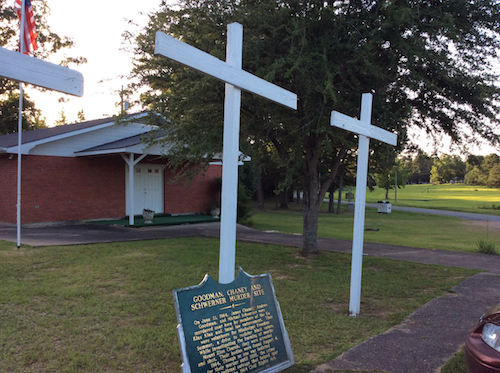 We head to Philadelphia, Mississippi and view the gravesite of three Civil Rights activists who were murdered. 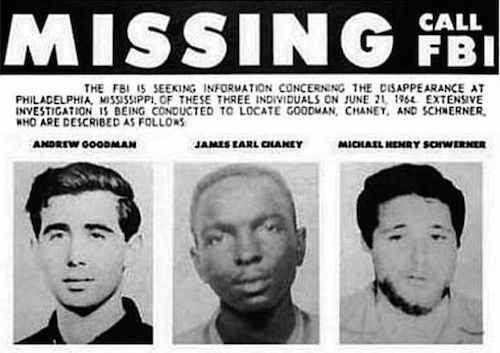 We learn about them and how they were down in Philadelphia to investigate the burning down of a local African American church and to register people to vote. They were killed by the Klan and only one person was convicted of this tragic crime years later. We head to the church that they were investigating and receive a warm welcome from its pastors and members. We head out to eat and back to hotels to call it a night. Tuesday, June 17, 2014. Today, we went from Jackson, Mississippi to Philadelphia, Mississippi. On this day, we went to the Smith Robertson Museum. This tour was wonderful and the words the tour guide spoke were powerful. One thing from this day that stuck with me was when the tour guide said, “Just think about it. Most people died coming over on the slave ships, but you are here. So that means you come from a strong line of ancestors”. This made me realize that I am still standing and we have been fighting through struggles since the beginning. As I shed tears writing this, all I can think about is how my ancestors were hurting. I am so curious as to know all about them and my heritage. My heritage is something I would love to embrace. I would really like to live on my family’s legacy. We are great and we came from nothing, in a new land, with new people, and a new lifestyle, but yet, we still overcame all the hardships. From this day forward, I will exhibit peaceful behavior in honor of my ancestors. Here we are in Jackson, Mississippi. Our first stop on our journey here in Jackson, was a museum dedicated to one of the first black schools in Mississippi and it has an whole exhibit for dear old Medgar Evers. One thing really stood out to me—not just today but all of the other days as well. During the 60’s, if you were a white racist, it wasnt really real hate. For them, that was the norm and that's what they learned growing up. Racism was a plague spread from generation to generation. Once we left the museum, we ate at a great place called Two Sisters Kitchen. Their food gave me, I think, the most weight gained on this whole trip. After lunch, we went down to the Medgar Evers home where he was shot. We stood on his blood stain and I felt like it was wrong to be standing on his blood. That was reality in the 60’s and in some places now too. I knew of it but, not like that. You learn in school about it and you hear it but you never really know the depth until you're literally on top of blood from someone so influential as Medgar. Today we also went to a church near where the three men of the civil rights movement were beaten and murdered. We also went to a church nearby that had been burned down around the same time they went missing, It was rebuilt and church continued on. For dinner, we went to a casino buffet in Philadelphia, MS. That was some great food. Today is Tuesday June 17, 2014 and we woke up in Jackson, Mississippi. We had an interview set up with Mrs. Myrlie Evers, the wife of Medgar Evers, but plans changed. Ms. Collins, her assistant told us stories about her and Mrs. Evers personal encounters that gave me a little insight into what kind of person she was and it made me want to meet her more. She seemed down to earth and had a lot of information to share with us. Today is Tuesday, June 17, 2014. Today we went to the Smith Robertson Museum in Jackson, Mississippi. Before it was museum it was the oldest black school in Mississippi. The museum was very interesting. However many exhibits weren’t up due to renovations. It was still informative and our tour guide was very passionate woman who made me feel like I was there. Then we went to lunch. After lunch we went to Medgar Evers home where he was shot. Although we didn’t get to tour it, seeing his home made me want to cry especially because we got see the driveway that was still stained with his blood. I couldn't help but put myself in the shoes of his children. It hurts my heart to know that they witnessed their father dying and they begged him to get up after he was shot. When we left the house we went to Strayer University to go watch Trayona interview Myrlie Evers but she had an emergency and wasn’t able to make it. We then got back on the road and set out for Philadelphia, Mississippi. Journal #4 Today we visited the Smith Robertson Museum. The Smith Robertson was once an elementary school from grades 1 - 8. Richard Wright, the novelist, poet, essayist, and short story writer also attended Smith Robertson. The school was once burnt down and rebuilt. The museum taught us about slavery and women of the movement. Women contributed a lot during the period of slavery. We also learned about Medgar Evers. 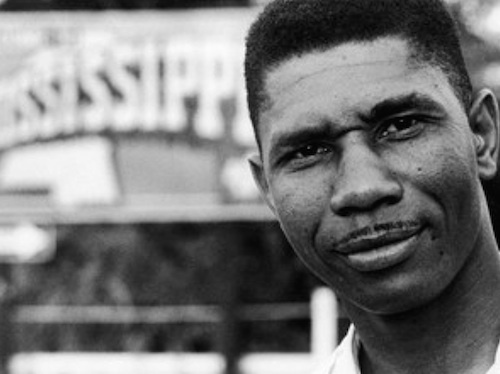 Medgar Evers was an African-American civil rights activist from Mississippi involved in efforts to overturn segregation at the University of Mississippi. 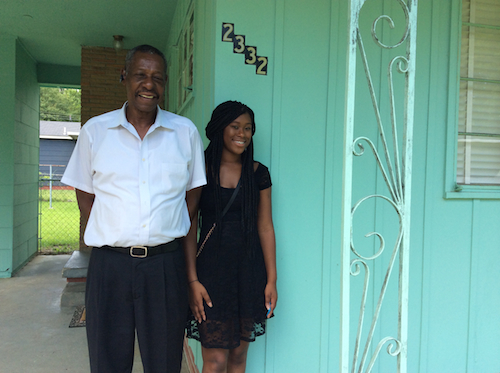 Mr. Evers died from a gunshot on his front porch. We visited Medgar Evers’s house and we saw the blood stains where he was shot. Next we went to Nebo Baptist Church where civil rights activists helped blacks register to vote. We also went to Mt. Zion Methodist Church where the three boys investigated the church burnt down. The three boys were killed by the Ku Klux Klan and we visited their grave site. Today we visited a museum, a church, a casino buffet, and Medgar Evers’s house. The first stop was the Smith Robertson Museum. There we talked about women's rights and what women did during the civil rights era. We also looked at old material that slaves used and depended on to survive. 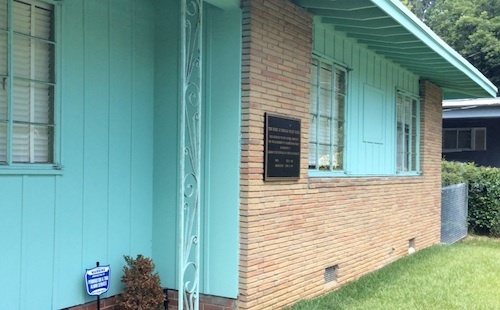 Our second stop was Medgar Evers’s house., Medgar was a civil rights activist who was shot on the porch of his house. We then traveled to Philadelphia to a church where we learned about three men who were killed trying to help people register to vote. Day 4. Today we woke up in Jackson. We went to the Smith Robertson Museum. It was a really cool museum. We got a tour and the guide talked about how we should be thankful that we're here because we could've been born in Africa. She was a very good tour guide, and she really got into telling us what she knows. She talked about how slaves paved the way for us to have a better life. She also talked about how women had a big part in the civil rights movement. They were the backbone of it all. Then she explained what the quilts meant during slavery. There was different symbols on them. They showed where to go, what the place looks like, what to follow and what's the right direction.Then we went to Medgar Evers’ house where he got assassinated. There were blood stains on the ground where he crawled and laid. We also heard the story about what his kids and wife did. We also went to Two Sisters' Kitchen and the food was pretty good. It was a buffet and I was full after the first plate. Then we went to interview Myrlie Evers but she didn't show. I don't know if it got rescheduled or if it's not going to happen at all. After that we drove to Philadelphia, Mississippi. We went on a driving tour. We went to the church where three men were killed by the KKK after trying to register people to vote. Back then the KKK didn’t want any Blacks to vote or to do anything for that matter and they were killing them with no remorse. After that we went to dinner. We tried to hurry up so we could get back to the hotel and get in the pool. We got in the pool and had a good time. After that everybody went to their room to shower and go to sleep. Day 4. Today we went to the Smith Robertson Museum. At the museum the tour guide was great. She had us listen and try our best to connect with the women who helped the men in during the 60s. Even though I heard a lot of stuff about slaves before, she still helped me connect and learn more about them. After that we went to the place where Medgar Evers was killed. This was sad because his blood was still on the ground to this day. Although we didn't get inside the house, it was still a great stop on the trip. Lastly we went to dinner and then to the hotel where we all went swimming. 06/17/2014. Today we went to the Smith-Robertson Museum. At this museum we were able to view different artifacts that slaves used. I saw a boat with slaves on it which was recreated to depict how the living conditions were when the slaves were traveling by boat. This made me regret the times I was complaining about walking or catching the bus since that’s a better way of transportation than having to live in your own feces and be crowded together with barely enough room to move around.